Given industry’s increasing awareness of the interdependency between the energy and water systems, the need for specialized consulting in the water/wastewater space and advancements in digital water-cycle monitoring have become pertinent for many companies. 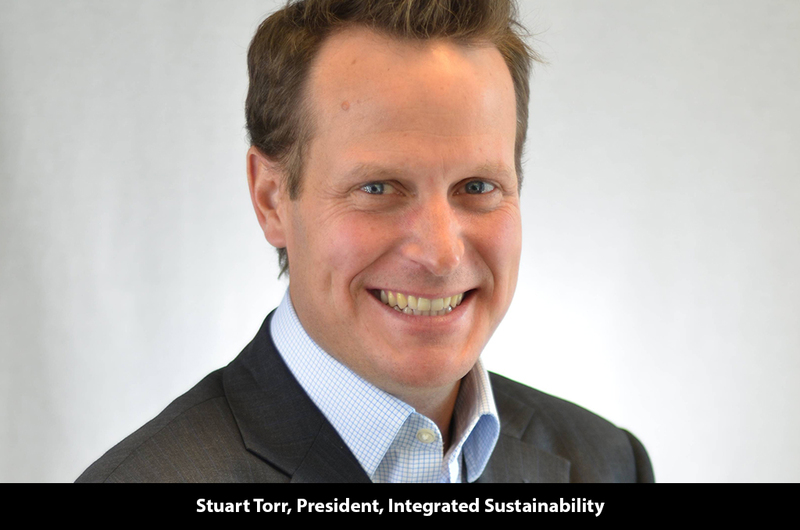 “There is a definite shift towards fully integrating services and being able to provide a unique model that bridges traditional infrastructure delivery by bringing together consulting and engineering services, technology, fabrication, construction and operations,” explains Stuart Torr, President of Integrated Sustainability. Founded to bring multi-disciplined water professionals together to enable solutions across the entire lifecycle of water, Integrated Sustainability aims to bring environmental and water resources services together with engineering disciplines for water and waste treatment, an approach that continues to evolve to address the changing needs of customers, many of whom have grown to expect specialists to deliver intelligent and competitive solutions, combined with necessary speed and agility of delivery. Committed to closing the gap between industry and sustainable infrastructure, Integrated Sustainability has risen to the challenge by developing their strengths across the entire lifecycle of water, from water resources and storage to water treatment to waste management. Expanding on this expertise with a focus on innovation and a courageous corporate culture, Integrated Sustainability has been able to provide a home for a talented pool of professionals, simplifying the supply chain and enabling long-term, sustainable solutions. The diversification into software and hardware solutions has brought further depth to the company’s sophistication. “We are integrated across the entire water supply chain preventing customers from needing to look elsewhere for complementary services. We are able to provide customers total lifecycle cost benefit because we are fully integrated through the supply chain with solutions that only a specialist can provide. We act as an engineer, vendor, fabricator, operator and consultant; this is truly unique,” says Stuart. Although Integrated Sustainability started as a niche water-specialized consulting company in 2010, over the years, it has grown to a full-service water infrastructure company dedicated to facilitating clients evolving needs with its turn-key solutions in areas of in-situ infrastructure, packaged treatment equipment, software and hardware development. In addition to expanding their service offerings, Calgary-based Integrated Sustainability has also added locations in Vancouver, Houston, Grande Prairie and Barbados and, having developed extensive experience in the energy sector, broadened their portfolio to include municipal, pulp and paper and agricultural industry clients. In addition to addressing the technical challenges, Integrated Sustainability has managed the customer’s risk expectation by executing the work under various forms of contracts and has been able to bring the customer up to speed quickly and without the expense typically associated with dealing with multiple stakeholders. A prime example of this creative solution orientation is the unique “Pitch-It” competition where employees are encouraged to bring new ideas and creative business plans to the table that will enhance the company’s growth and market position. This approach yielded a breakthrough when, in 2016, the company incubated a software and hardware company called Random Acronym through the “Pitch-It” initiative. Solely focused on addressing the increased need to provide customers with a unique, low-cost service for real-time water movement management, Random Acronym has streamlined the way field data is collected, communicated, and visualized in the office through key features like Data Flow Optimization, Intelligent Event Alerts and Data Visualization and Reporting. Encouraged by their progress in this sector, the company has taken one further step this year to provide its customers with the opportunity for project financing. “This opportunity has enabled us to match our strength and specialization to our client’s risk, enabling the advancements of projects that would not advance without a capital partner,” explains Stuart. In conjunction with this, the company aims to increase its global influence and further solidify its foundation but will continue with a keen eye on providing a specialty service.